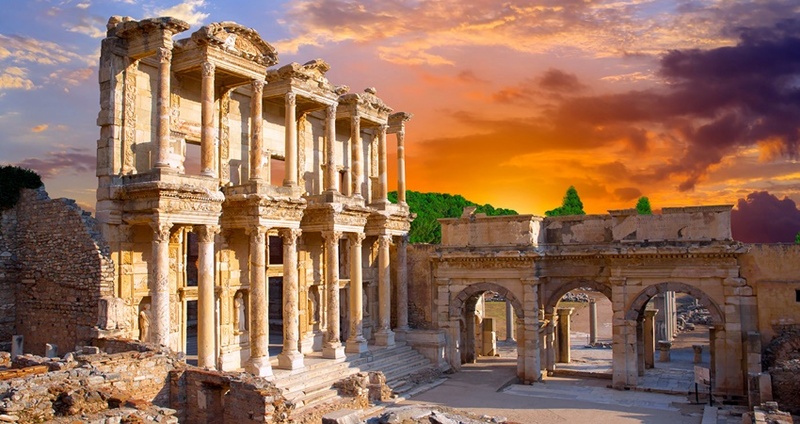 The ancient city of Ephesus in Anatolia is located on the Ionian coast; just three kilometers southwest of the modern-day Selçuk in İzmir Province, Turkey. This ancient city was built on the site of the former Arzawan capital in the 10th century BC by Attic and Ionian Greek colonists. During the Classic Greek Era Ephesus flourished as one of the twelve major cities of the Ionian league. Ephesus was a flourishing commercial center and a major harbor as well. 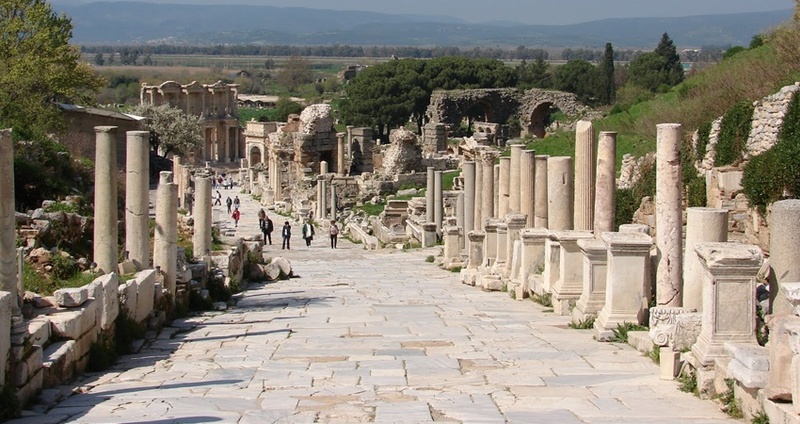 During the Roman Era, Ephesus was the third largest city in Asia Minor with a population over 250,000. Ephesus was famed for housing one of the ‘Seven Wonders of the Ancient World’, the Temple of Artemis. 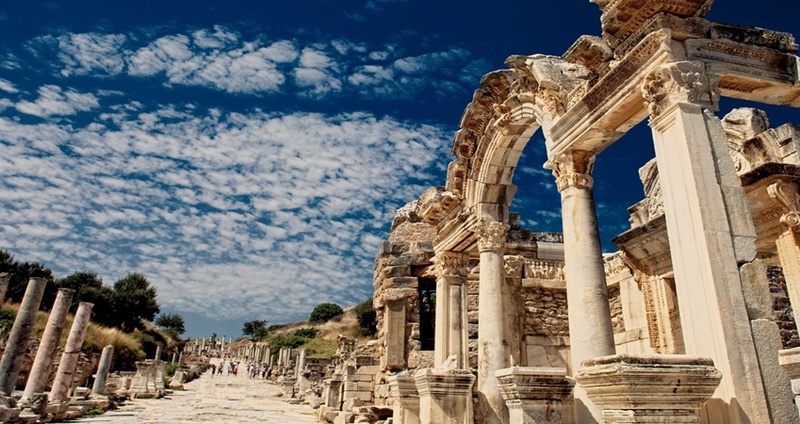 Today, the ancient city of Ephesus is one of the largest Roman archaeological sites in the eastern Mediterranean. 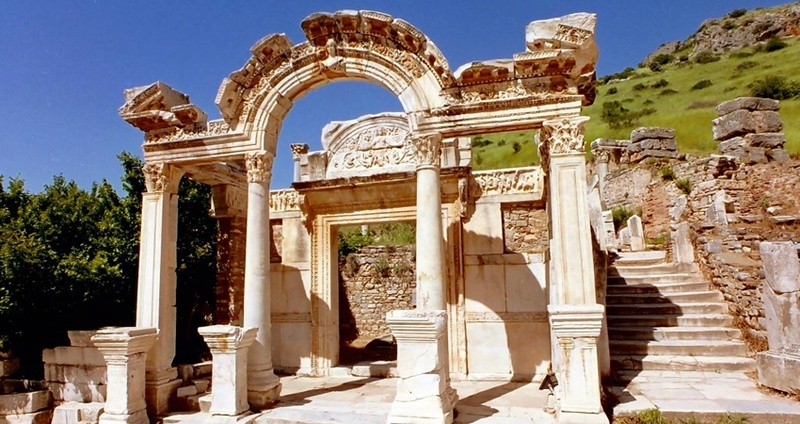 The ruins of Ephesus are now a popular international and local tourist destination in Turkey. The Temple of Artemis, the Grand Theater, the Library of Celsus, the Basilica of St John, the Gate of Augustus, the Temple of Isis, and the Temple of Hadrian are some of the popular sites to visit in this ancient city. 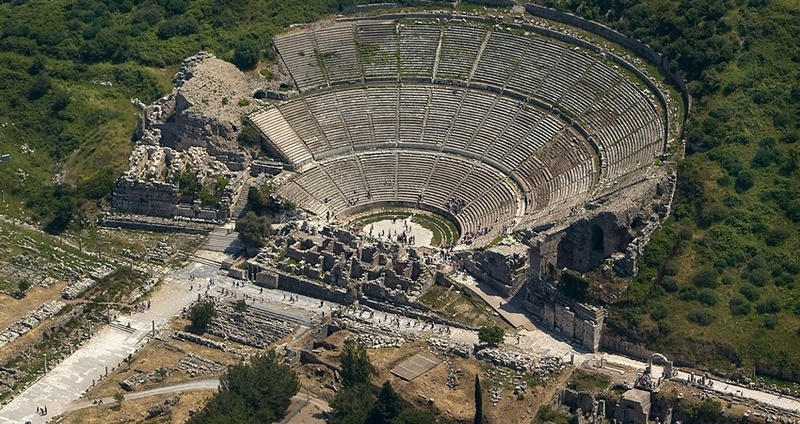 In fact, Ephesus is regarded as one of the largest outdoor museums of Turkey. Ephesus was one of the seven holy churches and the ‘Gospel of John’ may have been written here. Some very important figures of Christianity had been to the city of Ephesus like Saint Paul, Saint John and Virgin Mary. The east facing monument of Library of Celsus is one of the most impressive structures in Ephesus. Built in 117 AD, this was a monumental tomb for Gaius Julius Celsus Polemaenus, an ancient Greek. The library had a capacity to hold 12,000 scrolls and was the third richest library of its time. Built in the 2nd century AD and dedicated to the Emperor Hadrian, this is one of the best preserved and most impressive monuments in Ephesus. Inside the temple, there are friezes that depict the story of foundation of the city of Ephesus. Built in the 1st century AD, the Public toilets were part of the Scholastica Baths. An entrance fee was collected from public for using them. The toilets built in marble stone are arranged side by side, aligned along the walls and without partitions in between. An uncovered pool near these toilets probably provided water for cleaning and a drainage system running under the toilets carried the filth far away. Located on the slope of Panayir Hill near the south entrance to Ephesus, this is the most magnificent structure in the city. Constructed first during the Hellenistic Period and later extended to its present size in the 3rd century BC, it is the largest in Anatolia. The theater had an immense capacity to hold 25,000 people at a time! 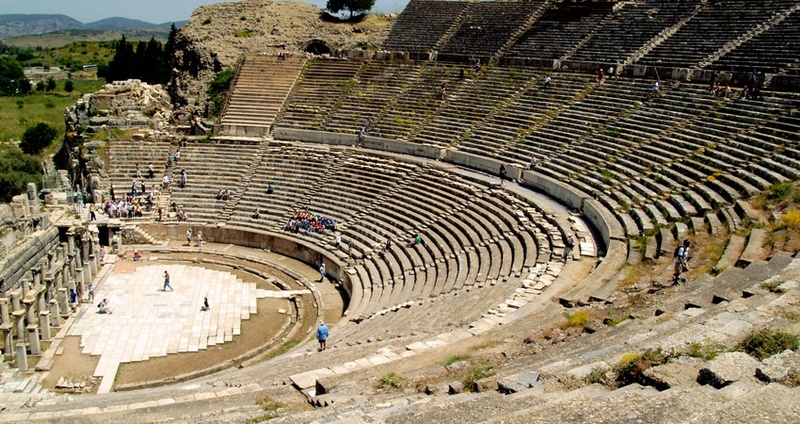 Apart from plays and concerts, the theater housed religious and political ceremonies, philosophical discussions, gladiator and animal fights. 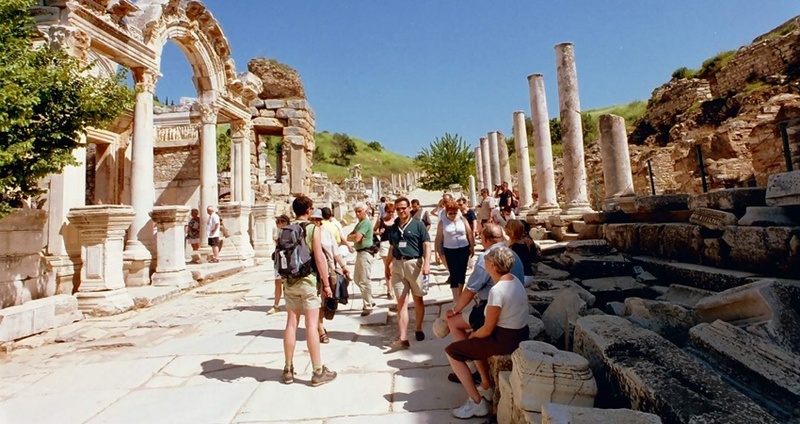 You can visit the Ancient City of Ephesus from Marmaris by joining these excursions.